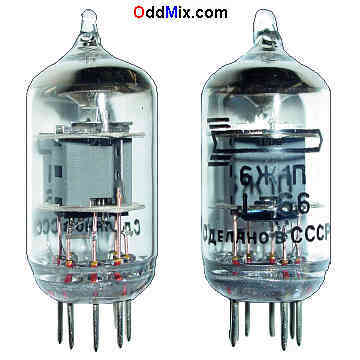 This is an original 6ZS1P Sharp Cutoff Pentode electron tube that is made in the Soviet Union in 1966. Miniature type used as RF or IF amplifiers in high-frequency wide-band applications up to 400 MHz. Good substitute: 6AK5. Excellent part for replacement, antique radio, instrument or television restoration, experimentation, circuit and radio amateur research or to set up a vacuum tube museum. It is a NOS tube - New Old Stock, unused, excellent condition.